Waterfox is a version of Mozilla Firefox for Windows 64 bits. Having been compiled specifically for this type of system, its performance is better than the standard version of Firefox. Waterfox is identical to Firefox, with the difference that your executable has been compiled for x64 and Windows systems. In the absence of an official 64-bit version, Waterfox is a good choice for those wishing to sail at full speed with your Windows x64. 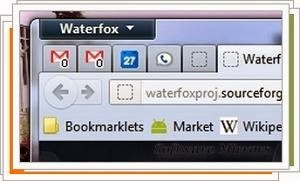 All of the advantages you have from Firefox is also there in Waterfox. The main different is the performance in 64-bit version of computers.